Lunaform: At One with the Landscape The concrete gods are smiling in Sullivan. 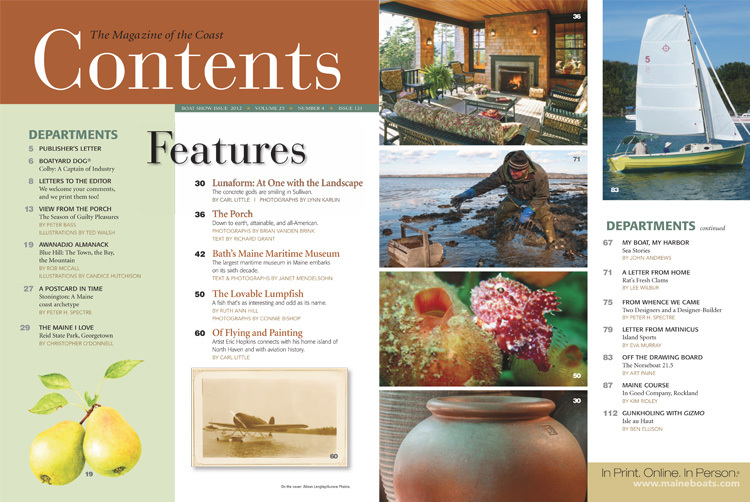 BY CARL LITTLE | PHOTOGRAPHS BY LYNN KARLIN Click Here to view a PDF of the Lunaform article. On the cover: Alison Langley/Aurora Photos. Click on the image to see a larger view.